The canine neck is complex; holding in it a mosaic of bones, muscles, nerves, veins and more. Elsa and I were at the bottom of the final hill before ending our Monday morning exercise together. As we looked up and prepared for our big push up the hill; a dog caught my eye. To the right of the hill and down the path was a dog who was being naughty. He was leaping frantically on his owner; grabbing and shaking his leash. I watched for a moment as any dog trainer would. Two woman were walking what looked to be a juvenile Shepherd/Husky mix. Not knowing how to control his outburst of behavior; the woman on the other end of the leash yanked. The dog was wearing a choke collar. I could literally hear the chain as she yanked and yanked. She’d had it and was obviously grasping to control him. Sadly his neck was taking a beating for his behavior. After his outburst of exuberant behavior she yanked in attempt to get him under control. She yanked his every movement. She was not tolerating him even looking around now and yanked his every head turn. I shuddered at the thought of what his neck was having to endure. We just don’t consider our dog’s necks near enough. Often after a good assessment, I would step in and say something but the dog and two women were a good distance off. After the yanking ended, Elsa and I moved on. 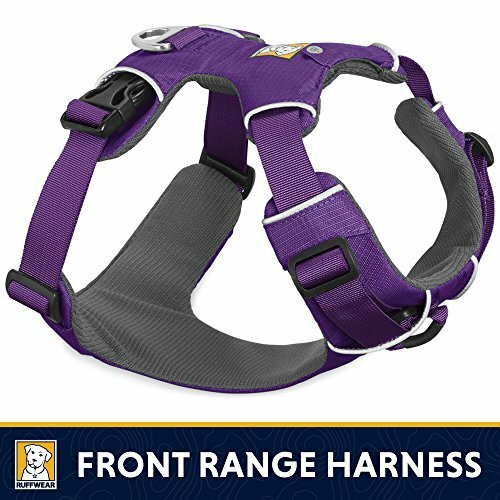 I am a big harness fan. Although I started training using the conventional choke collar; it is all there was way back when I was 13 years old. That is a very long time ago (43 years to be exact) and we are must smarter now, right? Being that I have been involved with 3 serious rear end collisions I am hyper vigilant about neck issues. My neck is bad pretty much all the time; some days worse than others but a constant issue for me. The way many people yank their dogs around by the neck is very disturbing. I know that it does not come from ill intent but a lack of knowledge. We just don’t think about our actions much of the time. After trying with no success to yank her dog into control; the person on the other end of the leash was stressed and frustrated. This lead her to just yank on her dog out of anger. And this “anger” is where I see much of the problem with being attached to our dog’s necks. We try to stop our dog’s actions by yanking on them. The whole yank method of training is based around stopping behavior by yanking on our dogs. Sadly it can require more and more yanking to achieve the smallest amount of success. Many canine neck regions are being damaged by constant yanking. It is often a knee jerk response; where we aren’t even thinking about what we are doing. I see folks walking their dog and talking on their phone inflict some almighty yanks when they aren’t even looking at their dog. The dog is lagging, maybe relieving themselves or just sniffing and they receive the yank. We need to consider our dog’s necks. Just because they have a neck does not mean that we should throw a chain, collar or rope around it and yank them into behaving. It boggles my mind that yank type training is still out there. But the sad part is that many people just do it because. That’s just what people think that we should do. The neck is a complicated myriad of components that is hidden under a coat of many different colors and textures. There are long thin, short stocky, near non existent to the big beefy type necks. All contain the same bits and pieces inside but in different shapes and sizes. Our dog’s neck can be easily damaged. It is our job to protect our dogs and do what is best and right for them. The neck is a big part that needs our protection.